What is SCUM? And could it turn into the next battle royale craze? During the first few years of the existence of the first-person shooter, new FPSes were often referred to as “Doom Clones” — the implication being any FPS in existence had to be ripping off Doom. It sounds crazy today, but it still happens — for example, whenever people see a new survival game and assume it’s a PUBG or Fortnite clone. SCUM is doing things a bit differently. The point of the game isn’t fast thrills, but slow and methodical strategy. The map is large, and the play area doesn’t decrease over time. There are just 64 players per match, compared to the 100 (or more) packed into competing battle royale games. The tome is gritty and drab instead of bright and crazy. It’s taking the opposite approach to Fortnite, but it seems to be paying off. 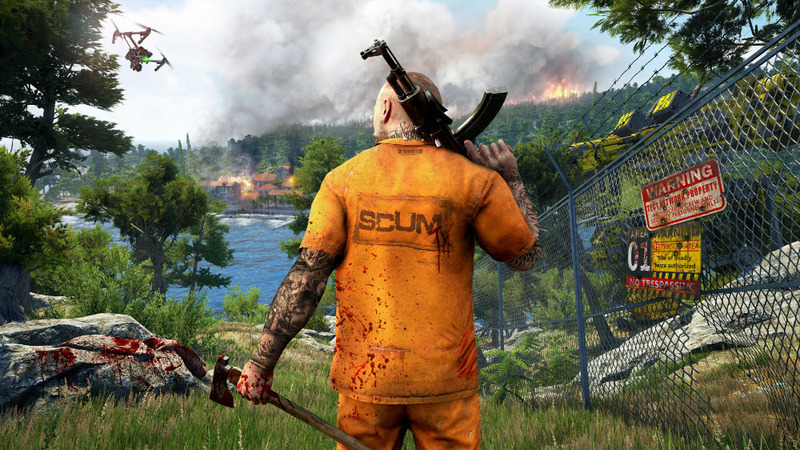 Early copies of SCUM were sent to popular Twitch streamers, who began streaming an alpha test of the game. Interest quickly rose, and SCUM became the third most popular streamed game on the service — despite the fact that no one could even buy it yet. It’s too early to tell if battle royale games are just a fad (like skateboarding games or Guitar Hero), or the birth of an everlasting genre like FPS. The hallmark of a fad is stagnation — people eventually get tired of something that doesn’t change. Experimentation can keep the basic idea of battle royale alive and increase the chances of it becoming a gaming genre unto itself for years to come. SCUM will be available on Steam Early Access August 29.